On January 17, 1945, the young Swedish diplomat, Raoul Wallenberg, and his driver, gave themselves up to the oncoming Russian invasion forces and effectively disappeared, although the Russians claimed that he had died of a heart attack in prison in 1947. This despite the fact that there were sightings of Wallenberg in Soviet prisons and institutions up till the 1980′s. 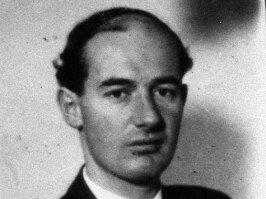 Wallenberg had been selected and sent to Hungary by the American War Refugee Board in June 1944 to help the Jews in Budapest who were suffering desperately under the Nazis and their Hungarian anti-Semitic Arrow Cross supporters. In the space of 6 months Wallenberg and his colleagues by fearless acts of daring and inventiveness managed to save tens of thousands of Jews from death and deportations, by issuing protective Swedish passes, by setting up a network of safe houses, by plucking Jews to safety off railway carriages. By such acts Wallenberg very soon became a major thorn in the Nazi setup in Budapest and his life was under threat. He also managed to avert the destruction of the Jewish ghetto and its inhabitants by warning the Nazi commander face-to-face of the fate he could expect from the approaching Russians if he committed such an act. My connection with the Wallenberg story began in the late 1980′s when I set up the Raoul Wallenberg Rescue Committee in Jerusalem. At that time I also wrote the first of a series of songs honoring Wallenberg and his fellow Holocaust Rescuers – ‘Wallenberg,’ ‘For You Raoul,’ ‘Raoul We Love You,’ ‘Carl Lutz and the Glass House,’ ‘The Rescuers,’ and ‘Louise and Marie’ in tribute to his half-brother Guy Von Dardel, and his nieces, Louise and Marie, who never gave up the search for the lost hero. Let us hope that, after all these years, the Russians will at long last open up the KGB and other files to once and for all solve the mystery of the disappearance of this remarkable young diplomat who sacrificed himself for the sake of the Jewish people.